A commercial policy (also referred to as a trade policy or international trade policy) is a set of rules and regulations that are intended to change international trade flows, particularly to restrict imports. Every nation has some form of trade policy in place, with public officials formulating the policy which they think would be most appropriate for their country. Their aim is to boost the nation’s international trade. Examples include the European Union, the Mercosur committee etc. The purpose of trade policy is to help a nation's international trade run more smoothly, by setting clear standards and goals which can be understood by potential trading partners. In many regions, groups of nations work together to create mutually beneficial trade policies. Trade policy can involve various complex types of actions, such as the elimination of quantitative restrictions or the reduction of tariffs. According to a geographic dimension, there is unilateral, bilateral, regional, and multilateral liberalization. •	Ad valorem: This tariff involves a set percentage of the price of the imported goods. •	Specific: This refers to a specific amount charged by the government on import of goods. Subsidies: Subsidies work to foster export by providing financial assistance to locally manufactured goods. Subsidies help to either sustain economic activities that face losses or reduce the net price of production. Quotas: Import quotas are the trade limits set by the government to restrict the quantity of imports during a specified period of time. Embargo: This is an extreme form of trade barrier. Embargoes prohibit import from a particular country as a part of the foreign policy. In the modern world, embargoes are imposed in times of war or due to severe failure of diplomatic relations. First, to appreciate trade with other nations. Second, to protect domestic market prevailing in the country. Third, to increase the export of particular product which will help in expanding domestic market. Fourth, to prevent the imports of particular goods for giving protection to infant industries or developing key industry or saving foreign exchange, etc. Fifth, to encourage the imports of capital goods for speeding up the economic development of the country. Sixth to restrict the imports of goods which create unfavourable balance of payments. Seventh, to assist or prevent the export or import of goods and services for achieving the desired rate of exchange. 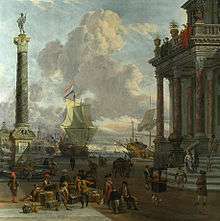 Eighth, to enter into trade agreements with foreign nations for stabilizing the foreign trade. Some nations make an attempt to protect their industries with trade policies which place a heavy burden on importers, allowing domestic producers of goods and services to get ahead in the market with lower prices or more availability. Others avoid trade barriers, promoting free trade, in which domestic producers are given no special treatment, and international producers are free to bring in their products. ADVANTAGE First is the national defence theory. According to this argument, certain industries such as weapons, aircraft, and petroleum are vital to a nation's defence. Therefore, proponents of this theory argue that these domestic industries should be protected from foreign competitors so that there is a domestic supply on hand in case of an international conflict. No country would like to be dependent on another country when it comes to weapons. Second is the infant industry theory. Under this argument, it is believed that new domestic industries should be protected from foreign competition for so long so that they will have a chance to develop. Ideally, as the new industry matures and becomes able to stand on its own feet and compete effectively with other producers, the protections will be removed. It is intended to help a new domestic industry develop without being immediately crushed by already established foreign industries. Last is the antidumping theory. Dumping is simply the selling of a good in a foreign country at a lower price than it is sold for in the domestic market. It is an illegal practice and current laws provide relief in the form of tariffs imposed against the violators. Proponents of this argument believe that if dumping is allowed, foreign producers will temporarily cut prices and drive domestic firms out of the market. Then they will use their monopoly to exploit consumers. Antidumping legislation is implemented to prevent this. Disadvantage: Increased Cost to Consumers:one of the most important disadvantages of trade restrictions is that it drives up the price of goods in a country where trade barriers artificially raise the price of imported products. The apparent effect of trade barriers is to prevent jobs from being lost to foreign competition, which is an argument used by many special interest groups to justify various types of trade barriers. In the long run, however, trade barriers force consumers to pay higher prices, since products that could otherwise be made cheaply overseas take more resources to produce domestically. Increased Costs to Domestic Suppliers: Price hikes due to trade barriers don't just affect consumers. It also puts a strain on firms which supply raw goods and commodities to domestic industries. Without trade barriers in place, such firms can rely on the law of comparative advantage, meaning that it would cost them more to try to find a certain raw material in their own country than it would to buy from a country rich in a particular commodity. Trade barriers artificially raise prices on foreign commodities, making it less profitable to buy from other countries. Less Competition: Trade barriers lessen foreign competition, leading to fewer product choices for consumers. The fact that trade restrictions make it more costly to purchase goods from abroad results in the domestic industry facing less competition from foreign markets. In the short term, this can save jobs in select domestic industries. However, in the long run, it leads to customers having fewer choices in the products they buy. It also gives producers less incentive to create high-quality products available to the public. Escalations: Over time, one country's policy of trade restrictions may lead to similar measures taken by foreign governments, who lose out in the international trade game because they can't export products for a profit. This cuts down on economic efficiency and competition on a global scale. When nations trade with each other regularly, they often establish trade agreements. Trade agreements smooth the way for trading, spelling out the desires of both sides to create a stronger, more effective trading relationship. Many trade agreements are designed to accommodate a desire for free trade, with signatories to such agreements making certain concessions to each other to establish a good trading relationship. Regular meetings may also be held to discuss changes in the financial climate, and to make adjustments to trade policy accordingly. Safety is sometimes an issue in trade policy. Different nations have different regulations about product safety, and when goods are imported into a country with stiff standards, representatives of that nation may demand the right to inspect the goods, to confirm that they conform with the product safety standards which have been laid out. Security is also an issue, with nations wanting to protect themselves from potential threats while maintaining good foreign relations with frequent trading partners.